Rita Maestre, Madrid municipal spokesperson suspended along with five other Podemos councillors. Photo: La Vanguardia. Six Madrid city council members from leftwing party Podemos who intend to form part of Madrid Mayor Manuela Carmena’s cross-party coalition ticket in upcoming municipal elections have been suspended by the party’s leadership for refusing to first participate in Podemos internal primary balloting that they say has been stacked against them. 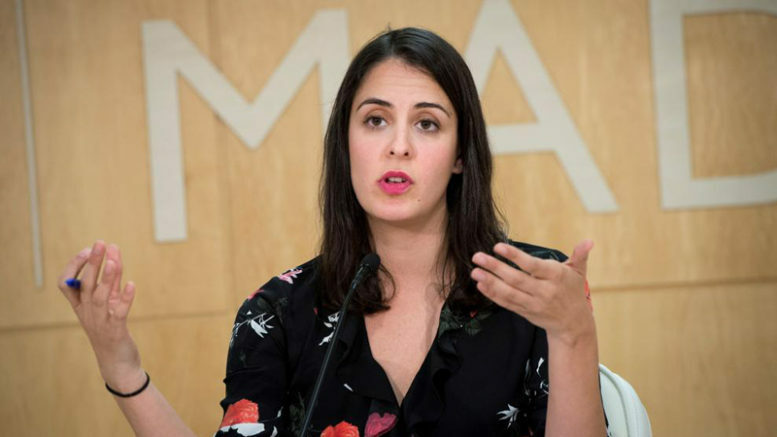 The six Madrid councilors suspended from party membership include the current municipal spokesperson, Rita Maestre, who unsuccessfully led a feminist ticket in the November 2016 internal party election to lead Podemos in the Madrid regional community and is politically aligned with Podemos national co-founder Íñigo Errejón. Madrid Mayor Manuela Carmena announced in September that she will run on a progressive ticket for a second term in May 2019 municipal elections, but that her list of candidates for city council will be comprised of individuals selected on the basis of their commitment to her administration rather than party affiliation. Carmena has said she chose that course in order to avoid the kind of inter-party rivalries that have caused divisions within her team over the last four years. Maestre and the other five other Podemos city councilors loyal to Carmena were suspended Monday after attempting over the weekend to reach consensus in negotiations for a united list of official candidates for internal party primary balloting. 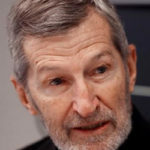 The six current Podemos representatives in Madrid announced they would not participate in the primary election after learning that not all of them would be ensured safe seats in the official plurinominal primary list led by the party’s general secretary in Madrid, Julio Rodriguez, a former military general who won election as general secretary of the Madrid party last December with the backing of Podemos co-founder and national general secretary Pablo Iglesias. Following their withdrawal from the Podemos-Madrid primary process, Podemos leadership announced their temporary suspension from the party and said they will be permanently expelled if they follow through in their pledge to run on the Carmena ticket without party approval in the Madrid municipal elections next year.